What is it about Colombians and their obsession with leche asada or milk custard? Oh my gosh, if I showed you the amount of requests I’ve received about this recipe, you would be mad at me for not having posted it sooner. Every week I get at least two to three messages asking me to make it and I finally did! 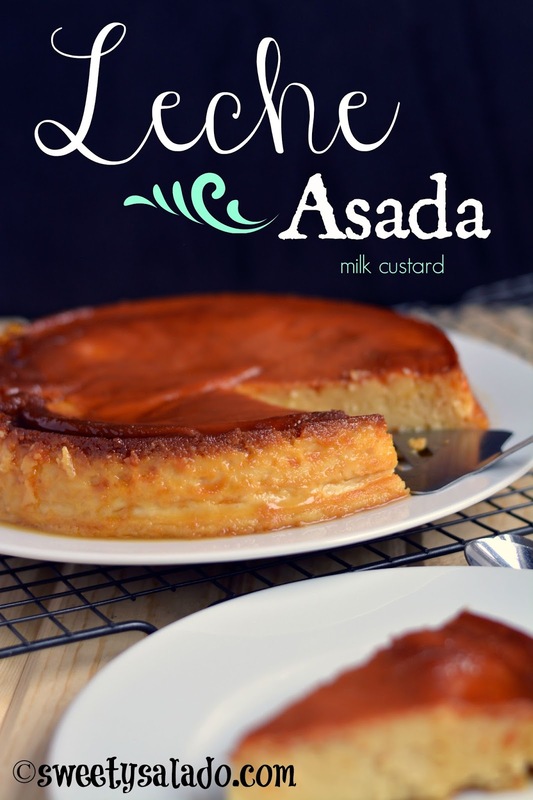 Leche asada is basically another type of flan. 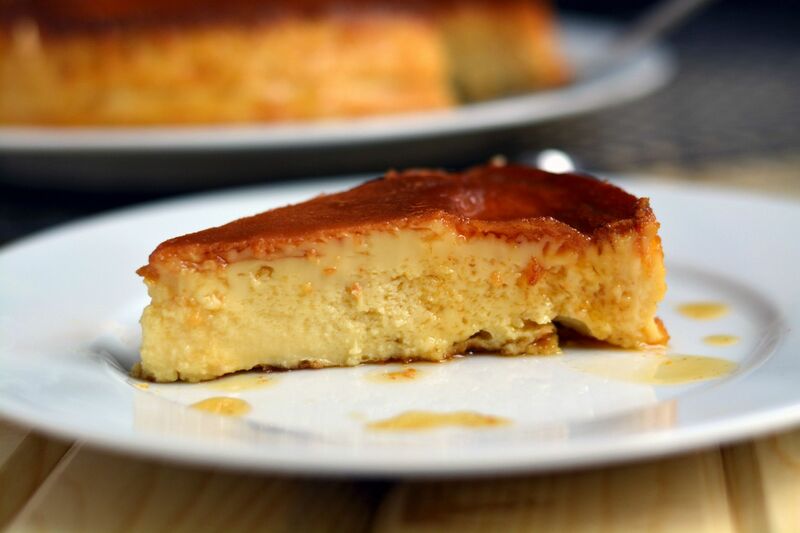 The major difference being that you bake leche asada directly in the oven, while flan is usually baked in a water bath so that it can get a smoother texture. That’s pretty much it. And just like the tres leches cake recipe, no one knows exactly where this recipe actually comes from but it is hugely popular in Latin America, especially in countries like Chile, Perú and Colombia, where they also call this dessert “tres leches” because many people, like me, prefer to add heavy cream as the third “milk” product in the list of ingredients. The reason I do it, is because it gives you a richer, thicker, creamier texture. Pre-heat your oven at 350ºF (180ºC). In a medium saucepan cook sugar and water on medium high heat until they turn a caramel color. This can take about 10 minutes, keep an eye on it so that it doesn't burn. Quickly pour the caramel into a 2.5 liter baking dish and tilt it from side to side so that it's evenly coated. Set aside. A glass or ceramic baking dish work best. Add the eggs, evaporated milk, heavy cream, sweetened condensed milk and vanilla extract to a blender and blend until smooth. Pour the custard mixture into the baking dish and bake for 45-60 minutes or until a knife or skewer inserted in the center comes out clean. Let the custard cool completely on a wire rack, cover and refrigerate for at least 4 hours. Uncover the custard and run a knife around the edge of the baking dish. Place a large serving plate on top, invert it, give the baking dish a little shake and gently lift it to remove. Serve immediately. Thank you for sharing this great dessert. My daughter had a school assignment to make some food from Colombia so this was a lovely idea. We had a hard time with the caramel part though as it was crystalizing and not getting golden brown. Fortunately, we looked at other videos on how to make a caramel and used small amount of lemon juice and no string and it worked.